It’s official. 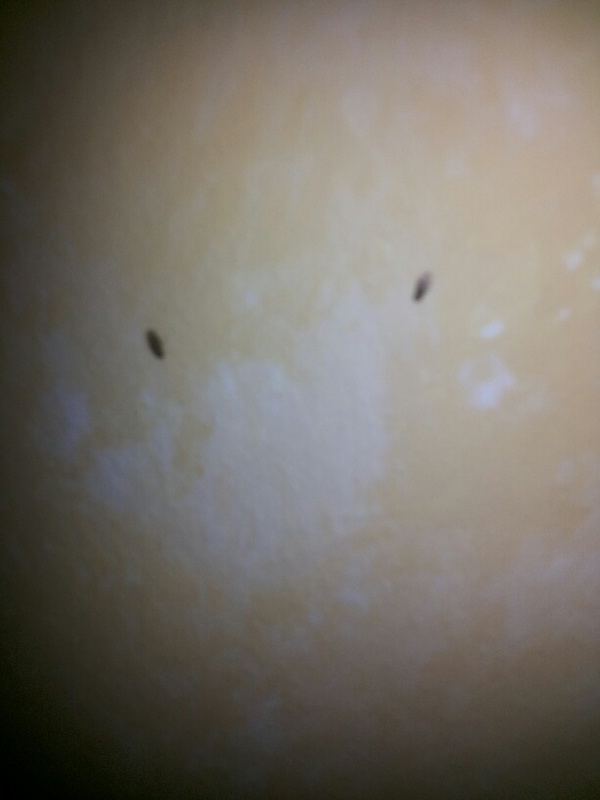 I’m now sharing my flat with hundreds of little black flies. They’re quiet little buggers. They make no noise. And apart from their sheer numbers, they’re little trouble. They don’t require feeding, walking, or talking to. And seem quite happy to be left alone to their own devices. I opened the press this morning to get out the frying pan and a mass of them swarmed out to meet me. They hang out on the walls, on the doors, on the floor, even. They group in ones, in pairs, and in threes, fours, and fives. And they’re all over the gaff. I did contemplate fly spray. But then I had a vision of my Hare Krishna friend, asking me – ‘What harm are they doing?’ And, as I say, apart from the numbers, they’re not really bothering me at all. Yes, I wish they weren’t here. I’d like my flat back, please. I tried to find out what they were and have come up with four possibilities, but none of them seem to match. And the photos don’t help as my ones are camera-shy. Drain flies: Drain Flies breed in drains, sewers, septic tanks and soil that has been contaminated with sewage. Fruit flies: Fruit Flies can be spotted around fresh fruits/vegetables, rotting fruits and vegetables, drains, garbage and damp organic materials. Phorid Flies: Phorid Flies are found in sewage contaminated soil, garbage, drains, human cadavers, rotting vegetables and fruit, garbage as well as damp organic materials. Sphaerocerid Flies: These flies may be found in manure, damp organic material, drains, rotting fruits and vegetables and garbage. They’re not just around the sinks – they’re everywhere. I’ve no fruit or veg hanging around. There’s nothing damp. Nothing rotting. Nothing to attract them really – other than my winning smile and marvellous personality. https://unpackingmybottomdrawer.com/wp-content/uploads/2017/06/logo-300x82.png 0 0 Mary Murphy https://unpackingmybottomdrawer.com/wp-content/uploads/2017/06/logo-300x82.png Mary Murphy2015-06-29 09:42:552016-08-10 11:38:43Anyone else beset by flies? It’s been an interesting week. I feel like I’ve been in a mad fight with a couple of heavies who dropped me from a height and let me bounce down 87 concrete steps, after they had beaten me with a hurley. No bruises, just a lot of pain – which says a lot as my pain tolerance is quite Catholic, something my coccyx obviously doesn’t know. Self-diagnosing, I’ve resigned myself to a couple of weeks of tentative sitting, wincing, and lots of short intakes of breath as I curse myself for even attempting to play football with a plastic bottle after a night at Paddy and the Rats. The last time I went to see them, my mate M ended up in plaster. This time, the pain is all mine. No serious damage, I hope; Xrays tomorrow will prove me right or wrong. It was a good week. One full of realisations, revelations, and recognitions. And like all stories – it had a happy ending. Yesterday, I was at a wedding. My mates A&N got married in Nagymaros with a reception afterwards in Visegrád, on the banks of the Danube Bend. Theirs is a lovely story, one that sent me to the dictionary to check the meaning of the word, serendipity. Word History: We are indebted to the English author Horace Walpole for the wordserendipity,which he coined in one of the 3,000 or more letters on which (along with his novelThe Castle of Otranto,considered the first Gothic novel) his literary reputation rests. In a letter of January 28, 1754, in which he discusses a certain painting, Walpole mentions a discovery about the significance of a Venetian coat of arms that he has made while looking at random into an old book—a method by which he had apparently made other worthwhile discoveries before:“This discovery I made by a talisman [a procedure achieving results like a charm] … by which I find everything I want … wherever I dip for it. This discovery, indeed, is almost of that kind which I call Serendipity, a very expressive word.”Walpole formed the word on an old name for Sri Lanka, Serendip. He explained that this name was part of the title of “a silly fairy tale, called The Three Princes of Serendip:as their highnesses travelled, they were always making discoveries, by accidents and sagacity, of things which they were not in quest of…. Back in 2008, A’s mam and dad wrote to tell him that they were going on the Camino. He made the mad decision to fly home and join them. N had also decided to go and as she couldn’t get a direct flight to Spain from Hungary, she flew through Dublin. They were all on the same flight. And then at the same train station. And then at the same hostel. And then they finally met. And they ended up walking the Camino together. And now they’re married. And if he hadn’t made that call all those years ago, how different their lives would be today. At the wedding yesterday, grown men were crying as A’s dad told us the story. We get so much crappy news these days, our media is so focused on what is going wrong with the world, that it comes as quite a relief to hear a story with a happy ending. 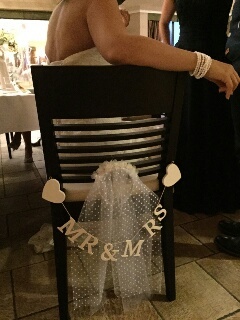 I love a good wedding. And even if I couldn’t dance to the brilliant music and didn’t dare drink in case I tripped and fell, again, and shed more than my fair share of tears in public, it was a great day. Sometimes we never know where our spur-of-the-moment decisions will take us. We can have no way of knowing where spontaneous choices may lead us. 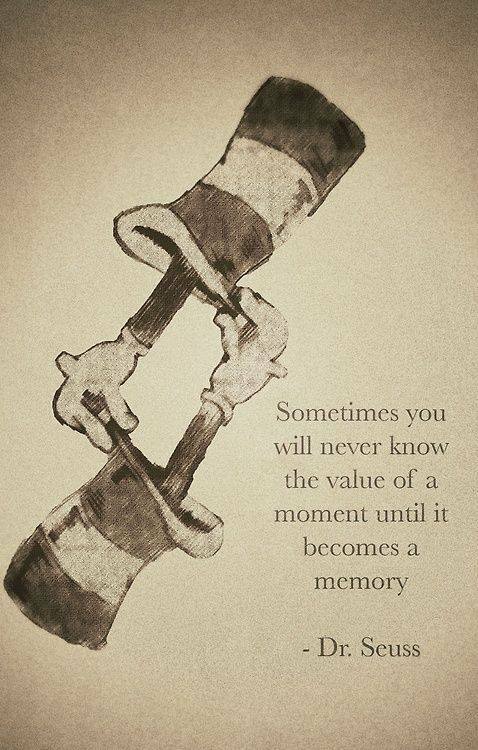 And often it’s not until much later that we realise the significance of something we have said or done. That’s what makes life the mad journey it is. A tangled network of roads more or less travelled. A junction box of interconnectedness. A mass of interactions where just one hello might change the face of our world forever. And while I could happily live with out the pain, this week, I’ve lots to be grateful for. A Bush and a Clinton are running for President of the USA. A Jurassic Park movie is topping the US Box Office. And a Terminator movie is due out next month. Tell me again: what year are we in? I laughed out loud when I read this post on Facebook last week as I, too, am a little lost as to whether we’re moving forward or backward. I’m finding it increasingly difficult to figure out what is actually true and what simply has an element of truth in it or indeed no truth at all. And in Hungary, even speaking the language often doesn’t help. While I was relieved to read that the country is finally adopting zero tolerance for all things anti-Semitic, I’m more than a tad disconcerted about us building a fence along the border with Serbia. Just what the world needs – another wall. But this week, I don’t have the bandwidth to deal with either as my mind is occupied with much more trivial things. The United States of America is a great country, one I’m very fond of. It, too, has its share of statutory senselessness. 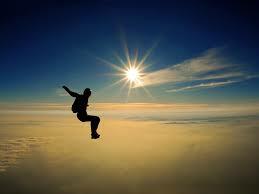 In Florida, a divorced or widowed woman cannot skydive on a Sunday afternoon. In Pennsylvania, it is illegal to tie a dollar bill to a string on the ground and pull it away when someone tries to pick it up. [What else to do on a wet and dreary Sunday afternoon as when you’re not skydiving?] In Florida, you can’t fart in a public place on a Thursday, after 6pm, which suggests that at any other time in the week you can let it rip. In Kentucky, a woman can’t remarry the same man more than three times. And in Iowa, men with moustaches can’t kiss women in public. But why my fixation with ridiculous laws languishing in the statute books but never enforced? [Admittedly, the source of many of these outlandish laws is dubious at best.] This week, I heard of a 2013 Hungarian law (yep – 2013, not 1813 or 1913, so pretty recent) that boggles the mind. Apparently, if I have a visitor who stays overnight, a visitor who doesn’t normally reside in my municipality (for example, a friend visiting from Ireland), they (or I) am supposed to pay the local guest tax. I know my Hungarian isn’t up to much, and there’s always the possibility that I’m wrong, but check it out for yourself: Law reference 30 §(1). I wonder who’s responsible for this little gem and whether they pay for their visitors or install them in a hotel. As the Greek playwright, Sophocles, posited ‘nobody has a more sacred obligation to obey the law than those who make the law’. Dad came to collect him and democracy was restored. I went from a co-starring spot to a supporting role in double-jig time. Once the UN building had been built, all focus was on what time Dad’s plane was landing. He even started packing although they wouldn’t fly for two more days. We have that in common. I like to start packing to come home days ahead of time yet I don’t pack to leave until the last minute. Wonder what the shrinks would say about that? Tuesday was shaping up to be a groundhog day. He wanted to take Dad to the Goatherder to have some lemonade, and then to the zoo to check up on the seals. But it was raining and not a zoo day. I’d suggested the Planetárium but it didn’t fly. And had I been on my own, I’d have caved and gone back to the zoo – again. But Dad was there. And democracy, as I said, had been restored. 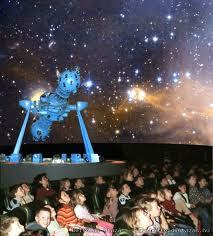 He was outvoted, 2:1 and we headed to Népliget to see the stars. I felt a strange sense of guilt mixed with satisfaction – for once I’d gotten my way and as my negotiating skills are severly lacking, this was a first all week. Indeed, who is the bigger child. They left yesterday. The place is very quiet without the echoing calls of ‘May-ree?’ My hearing is slowly being declassified from RED ALERT to NORMAL. I don’t have to listen out for him any more, or think about eating, or wonder what to do today. I’d be lying if I said I wasn’t glad to have my flat back to myself – I like my space – I like my silence. But there’s a hole there. And it’s an odd sort of hole. One that will take a little thinking on. This was my first adult experience of responsibility, of dependency, of unconditional affection and all the things that are mixed up in adult/child relationships. I liked the constant stream of consciousness, even if jumping from Irish beef export sales to our Taoiseach Enda Kenny being a muppet to the origins of coffee did take some getting used to. I liked the unfettered displays of emotion – the sulks, the smiles, the rants, the bellylaughs – all spontaneous and pure without thought or agenda. I liked the future talk – what I want to do, what I want to be, where I want to go – as yet devoid of cynicism and not limited by conscious expecations. I liked the fact that everything was possible; if it could be imagined, then it could happen. Most of all though, I liked the fact that I’m an aunt, not a parent. My responsibility ends here. This time. And yes, he can come again. Next time, I might have a better idea of what I’m doing. I might even be a little more relaxed about it all. Years and years and years ago, in another lifetime, I overheard a mother reasoning with her toddler. I remember stopping dead in my tracks and staring at her wondering what planet she’d come from. The kid was three, maybe four. All he needed to understand, he understood. Scream loud enough and mummy will or won’t give me what I want. 50/50 chance. Play the odds. Toddlers are not teens I know. Yet a couple of times this week, I found myself reasoning (or trying to reason) with the boy. And I wondered why. It’s not like I was ever reasoned with. I turned out just fine, thank you very much, on a diet of ‘ ‘because I said so’ and ‘do as your told’. Back in the day, adults trumped children – children of any age. Yesterday, we had intended to go to the Natural History Museum but it got a short shrift when we spotted the LEGO shop at Allee. We’d gone there to see if the Samsung shop had a cover for my phone and the plan was simple. Five minutes in Samsung, then back to Bubba’s for fish and chips, then to the museum. All planned out, agreed, and more importantly, accepted. But I broke the rules. I cheated. I went into Von Graf to take the in-store escalator up to the next floor and while I was passing the sale rack, I stopped to check if a coat I’ve had my eye on has reached the half-price mark yet. You’d think I’d pitched tent and was hunkering in for the afternoon. We struck out at Samsung and then spotted the LEGO shop. An hour later I was still sitting there, watching, as every box was examined in detail. It was like some sort of religious ritual. He did three tours of the shelves and then came to calculate how much money he had left. 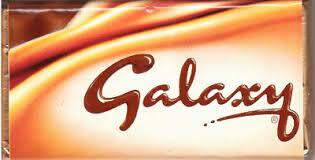 But the decision was too serious to take without sustenance. He needed a raspberry chocolate shake from Costa before he made up his mind. I’m useless in the face of such specificity. Duly fortified, back we went. And it took another hour. I kid you not. Even I’m not that indescisive, I thought. But no – it wasn’t indecision. He was going through some abstract exercise, weighing up the plusses and minuses of each decision, including projections involving future collections. This wasn’t a short-term deal. We’re talking about choosing next year’s LEGO path. He obviously got all the vision genes. Decision made, money handed over. Next stop food and an insight into what he’s like. ‘Mary, I’m the type of person who has to do something – now. 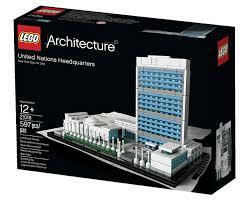 I have to go home and put this LEGO piece together. If I don’t do it now, I won’t be able to think about anything else.’ Well, fair enough. Nothing like knowing what makes you tick. And I’m no stranger to that sort of single-minded obsession. Later that evening, as we looked appreciatively at a model of the UN Building in New York, I mentioned going to another mall, to another Samsung shop. To see if they had my phone cover. I, too, had wants. But it took some persuasion. And I found myself playing the ‘not-fair’ card. I waited two hours in a LEGO shop for you, and you won’t even give me half an hour to come with me to get my phone cover? What’s that about?’ And I wondered, not for the first time this past week, which one of us is the adult? I’ve come to this way too late in life. I don’t have the inner fortitude to trot out a few ‘because I said so’ or ‘do as you’re told’. Perhaps if it was a full-time, long-term gig, I’d be different. But hey – he’s on holidays. Seven days in and we’re both still alive, if bordering on exhaustion. I want to be a kid again so I can stay up all night and sleep all day and not have to worry about who pays the bills. Working for a living is a mug’s game. We spent a day hopping on and off the Big Bus. We went to City Park to touch Anonymous’s pen in the hope that it would give us some ability to write. We even hopped off the boat and went to see the musical fountain on Margaret Island. We’re still sampling the hazi limonadé. 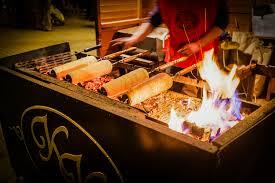 We’ve fallen in love with kürtöskalács (chimney cake) and are planning on introducing it to Ireland. Budapest is fast running out of fish and chips and I’m left wondering where he puts it all. He’s a bottomless pit. And there’s not an ounce of spare flesh on him – obviously our genes differ. We got told off by a grumpy old driver for taking the train down to Palatinus and then not going inside, even if it was close to 6pm and it shuts at 7. I felt stupidly chastised, as if I’d been caught red-handed stealing a cookie from the cookie jar. I even blushed. I had to remind myself that I was an adult and that the driver was being a prat. And then I thought of being a full-time parent and having to be on my best behaviour all the time – leading by example – and the strain of that! And then I thought of the parents I know and laughed. Maybe I need to chill a little and stop taking this responsibility so seriously. On Friday, we took the train to Komárom – to the fort. And we brought along some company – a very chatty 12-year-old who thankfully spoke fluent Hungarian. It was like sitting in the middle of a dolby stereo. We played chess and draughts and pawn war and they talked non-stop for hours. We wandered down the town and saw what little there was to see other than the fort, and then we came home. And ate. And ate some more. We’re slowly making our way through the menu at the cukrászda (cake shop) … somlói galuska, krémes, dobos torte, csokis-kakaós csiga … where his universal point-and-salivate language is well understood. And did I mention the unquenchable thirst for lemonade? Saturday we did the whole Bloomsday thing and yesterday, after Part II of our research into fish and chips in Irish pubs in Budapest (Jack Doyle’s won on account of the newspaper wrapping being in English and from Ireland), he went visiting and I got to work. First thing this morning all I got was – Can we go for fish and chips? Yesterday we breakfasted on liver and kidney, bacon and sausages, mushrooms and tomatoes, with a Cashel blue stepping in for the gorgonzola. A replica of the breakfast Leopold Bloom ate back on 16 June 1904. 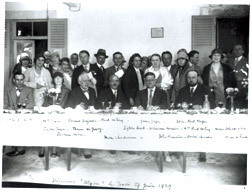 It was back in 1929, on the 25th anniversary of the day Joyce immortalised, that his publisher Sylvia Beach, organised a Déjeuner Ulysse at the Hotel Leopold near Versailles. This has been marked as the first Bloomsday celebration and the guest list included one Samuel Beckett, who, the story has it, had a tad too much to drink and didn’t make the official photograph. Anyway, yesterday morning, we breakfasted like Bloom, peppered with speeches by the Ambassador and professors of literature, all of whom added to my rather sparse knowledge of a man I’m becoming quite taken with. But to be understood, I think Joyce has to be heard, read aloud, not quietly. The female actor who had been lined up to read a part of The Dead was a no-show and I was asked to step in. Not to act mind you, just to read. I didn’t know either the story or the context but gathered enough of it to realise that I was to needle my interlocutor. More dancing follows, which finds Gabriel paired up with Miss Ivors, a fellow university instructor. A fervent supporter of Irish culture, Miss Ivors embarrasses Gabriel by labeling him a “West Briton” for writing literary reviews for a conservative newspaper. We had a couple of read-throughs before the main event and I was a little surprised at how much I enjoyed it. 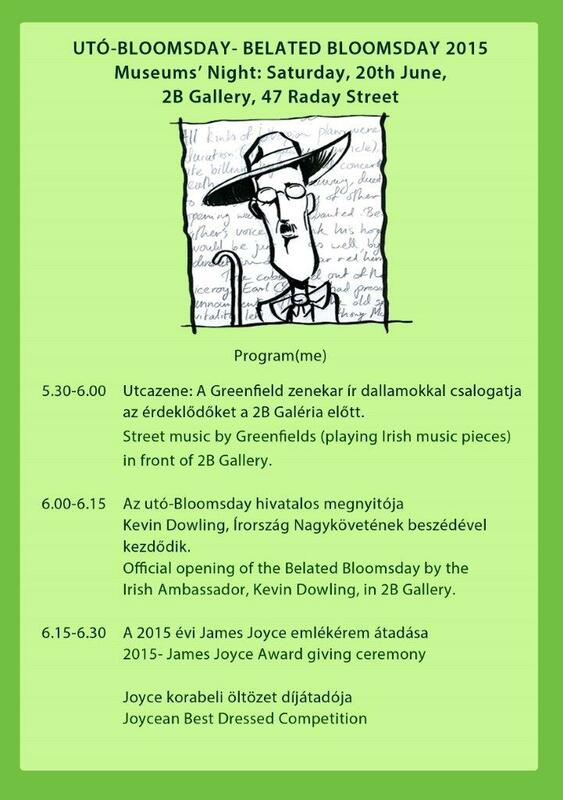 Later that evening, at the Belated Bloomsday celebrations on Raday utca, I was asked to step in again. If it’s something I want to do, I don’t need to be asked twice. Various conversations ensued and I may well get to read next semester for some students of Irish literature. I’m already looking forward to it. So much so, in fact, that next year, I think I’ll make it my business to be in Dublin for Bloomsday and overdose on all things Joycean. Or else make my way to Szombathely for the Hungarian version. But it was the boy who surprised me. He’d enjoyed the breakfast – anywhere he can eat unlimited sausages rates. We took his new friend H to see Miniversum (again). [I’m getting braver – I left them there with strict instructions not to leave until I got back. Instructions they ignored, mind you, but I was waiting outside so panic averted.] 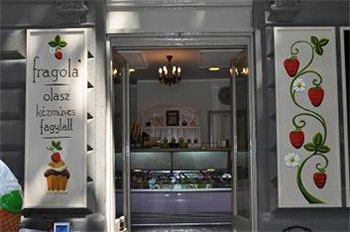 We went for proper ice-cream at Fragola on Nagymező utca 7 (they have gorgonzola and camembert flavoured ice-cream) before heading over to Orczy-Kert to another birthday party. He got into the thick of it all with L and A, leaving me to marvel at how easy it is for kids to get along. What goes wrong? When does it go wrong? When do we stop living and letting live and instead judge our way to ostracism? When do the walls go up? I’d expected him to want to stay and play rather than come with me to the Bloomsday thing but he takes being Irish quite seriously and saw it as a duty, of sorts, to celebrate Joyce and Ulysses on his birthday. And in fairness, it wasn’t until 9pm that he announced, with all the solemnity a just-turned-14-year-old can muster: Mary, my patience has finally run out. It’s time to go home. This week has been exhausting. I’m wiped out. Yet I’ve learned a lot, for which I’m grateful. I have a newfound appreciation for Joyce. I stand in awe of mothers and parents in general. And I am glorying in how simple life looks through the eyes of a child. James Joyce’s Ulysses is arguably one of Ireland’s most famous literary offerings. In some 265 000 words, 30 000+ of them unique, it chronicles the life of Leopold Bloom in the course of a day –June 16, 1904 – in Dublin. Joyce chose to mark this date, the day on which he first stepped out with the woman who would become his wife, Nora Barnacle. Today, June 16 is celebrated globally as Bloomsday. And one of the most notable celebrations outside of Dublin is here in Hungary, in Szombathely, the birthplace of Bloom’s fictional father, a Hungarian Jew by the name of Rudolf Virág, who emigrated to Ireland. Back in 2007, Hungarian filmmaker Csilla Toldy, who’s now living in Ireland, made a 26-minute documentary The Bloom Mystery on the Hungarian-Jewish origins of Leopold Bloom. The film was shot simultaneously in Hungary and Ireland on Bloomsday 2007, and underscores the almost intangible affinity that exists between the two nations. 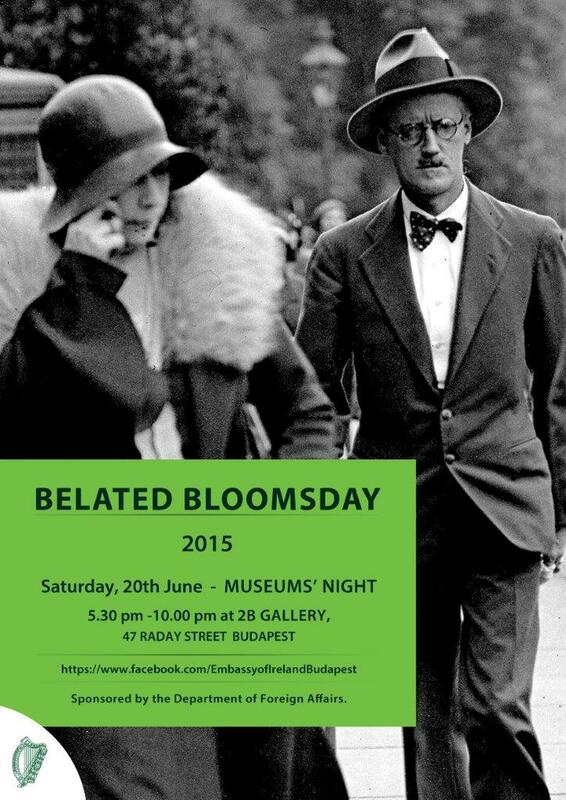 A couple of years ago, in 2013, Ambassador Kevin Dowling and the Irish Embassy here in Budapest, launched a Belated Bloomsday, designed to coincide with the Night at the Museums. There’s a lot of interest in Ireland and her literature here in Hungary and this night is a welcome addition to the literary scene. This year’s venue ‒ 2B Gallery, Raday utca 47 ‒ will host music, readings, a film, talks, and an art exhibition on Joyce from 5.30 to 10 pm on Saturday, 20th June. 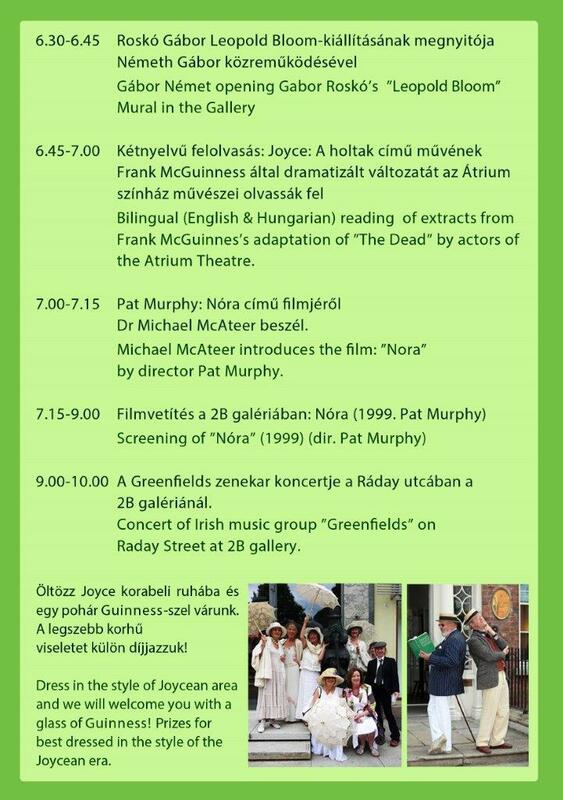 Hungarian actors from the Atrium Theatre Company will read from Joyce in English and in Hungarian [I believe that they’re hoping to put on a full performance of The Dead later this year – something else to look forward to]. And if you fancy a bit of fancy dress, don your Bloomsday threads, enter the Joycean Best Dressed competition, and get a free glass of Guinness to put you in the mood. [If you’re a punctuation pedant, you’ll need a Guinness or three.] One of the features of the night will be the screening of Pat Murphy’s wonderful film, Nora. For more details, check the Embassy’s Facebook page. Ulysses is a treasure trove of great advice and its relevance hasn’t dimmed with the passing of time. I’ve tried, on a number of occasions, to read the book in its entirety, but have failed miserably. It’s a punctuation thing. I did partake in a 24-hour reading of the text in San Diego one year and admittedly at 3 am in the morning it began to make some sense. I went so far as to buy the unabridged audio version in the hope that hearing it might be easier. But alas, besting the beast is something that I still have to do before I die. I agree with Carl Jung who said that Ulysses could ‘just as well be read backwards, for it has no back and no front, no top and no bottom’. Mad in the head, Joyce was. Flicking through the tome this week, I came across a few pertinent quotations that still stand tall. On smoking: ‘The mouth can be better engaged than with a cylinder of rank weed.’ On intolerance: ‘It’s a patent absurdity on the face of it to hate people because they live round the corner and speak a different vernacular, so to speak.’ And on the passing of time: ‘Hold to the now, the here, through which all future plunges to the past.’ For all his battiness, our man Joyce did us proud. And it’s great to be able to share him. We’re still talking. But I’m knackered. His mother told me that he was too like me for comfort and now I’m finally getting a glimpse of what she means. What would you like for dinner? Doesn’t bother me. What do you want to do today? I don’t mind. I hadn’t realised how challenging it is to have live with someone who is so non-committal but am now realising why I’m living on my own. Man, it’s an effort. And I keep forgetting he’s there. I walk off the tram and have to check to make sure that he’s behind me. I cross the road and double check, too. I leave the supermarket and again, I’m checking bags and boy. Hats off to ye mums and particluarly to ye working mums and mums of more than one… I don’t know how ye do it. Yesterday, we went to the zoo. I’d never been before. It was quite the experience. We went to see the koalas but they were hiding. We saw lumps of fur in a tree and the rest was left to our imagination. We had a minor hiccup and we were all but drafting a letter to whomever is in charge of animals worldwide to tell them how the seals in Budapest Zoo were being abused, living as they do in some shallow inches of water. But after the third check-up when the pool was being refilled, we realised that it had only been drained so that the seals could get their annual check-up. Whew. Nothing in my lifetime’s education so far has prepared me to combat the earnest intensity of a naive mind. What comeback is there ‘I’m so sad that the animals are caged up, that the seals have to live in such conditions, that the hippos’ water is so dirty.’ Is it okay for me to be sad, too, or should I be distributing pearls of wisdom and gems of insight? 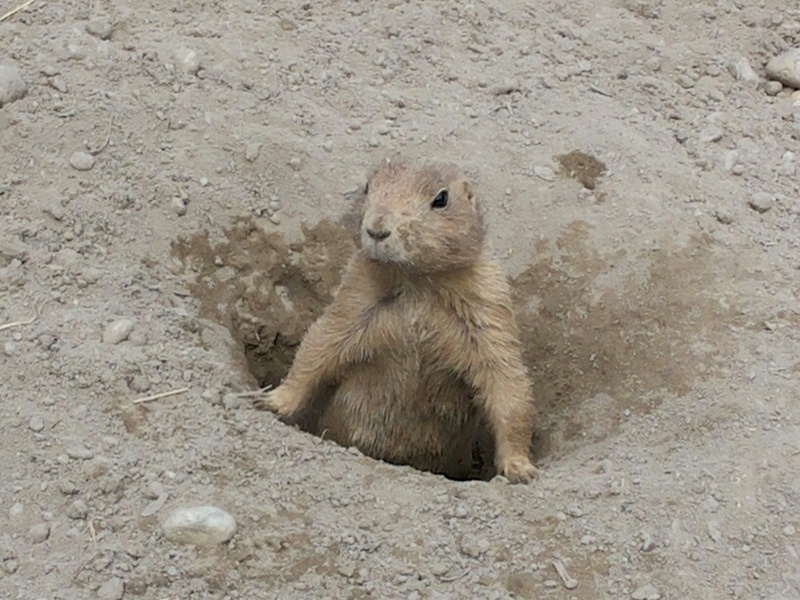 Never was I so happy to see a gopher – to relish the simplicity of a menace whose life’s amibition is to screw up a lawn. Simple stuff. They were happy. Uncomplicatedly happy. We’ve been rating Budapest’s finest bars and cafés on the quality of their hazi limonadé (house lemonade) and five litres in, The Goat Herder café is still on top. I keep forgetting that kids have to eat and eat properly, a sad reflection on my own ‘eat when I’m hungry’ habit. We’ve decided to conquer the world, one cuisine at a time, and last night ate at a fab Vietnamese restaurant on the No. 5 bus route over in Buda. He had squid (and yes, I heard my mother’s voice echo in my head as I mentally thought – ‘Tis far from squid you were reared’). But hey – it’s a different generation. Today, we went to see the moving statue, a phenomenon I’ve shown to many an adult visitor who were as awed as I was. Him? No. ‘Ah, yes. It moves. But that’s because it’s cut into the stone.’ Ye gods – do kids today know everything? 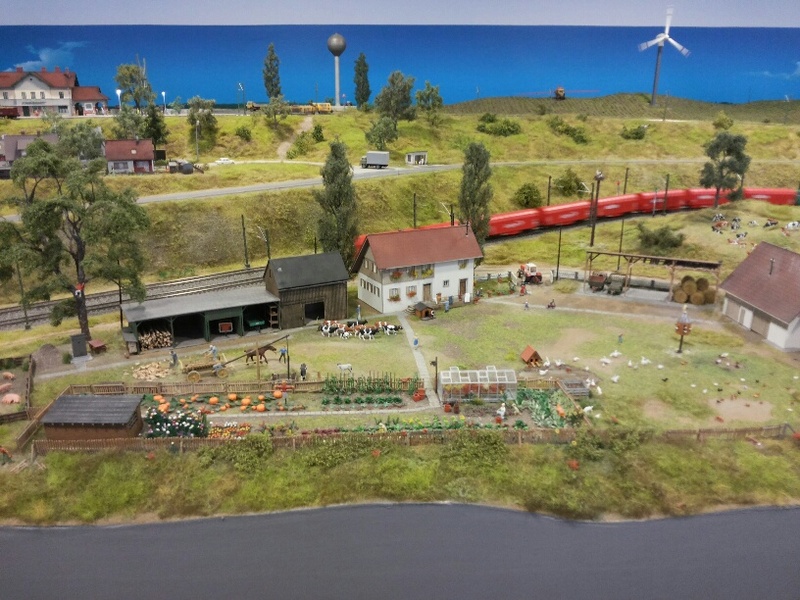 Later we went to Miniversum– a fabulously creative, interactive mini-universe. You push variously coloured buttons to activate lights and motion and then get to spot said same lights and motion. It could be the lights of a cop car flashing on and off or an medic giving CPR or an old lady beating her carpet. 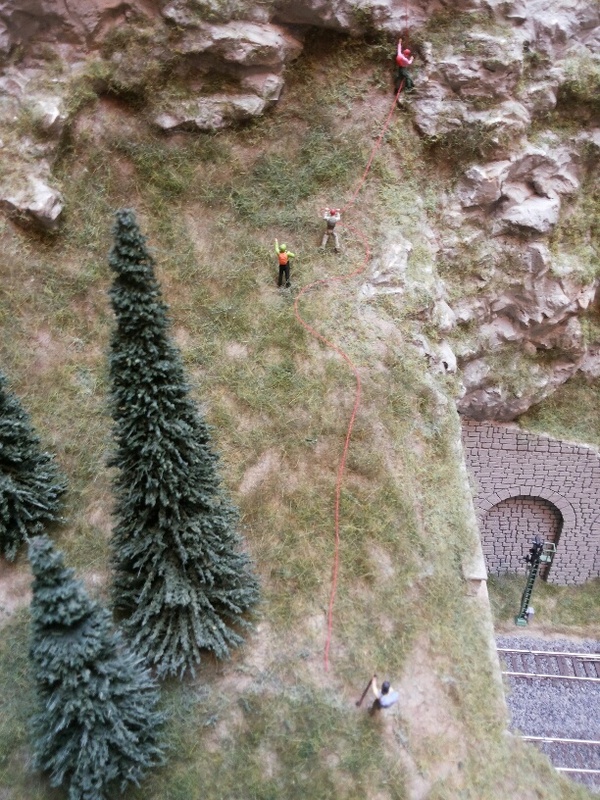 All in miniature. Amazing stuff. It was hard to know who was the bigger child – me or him. 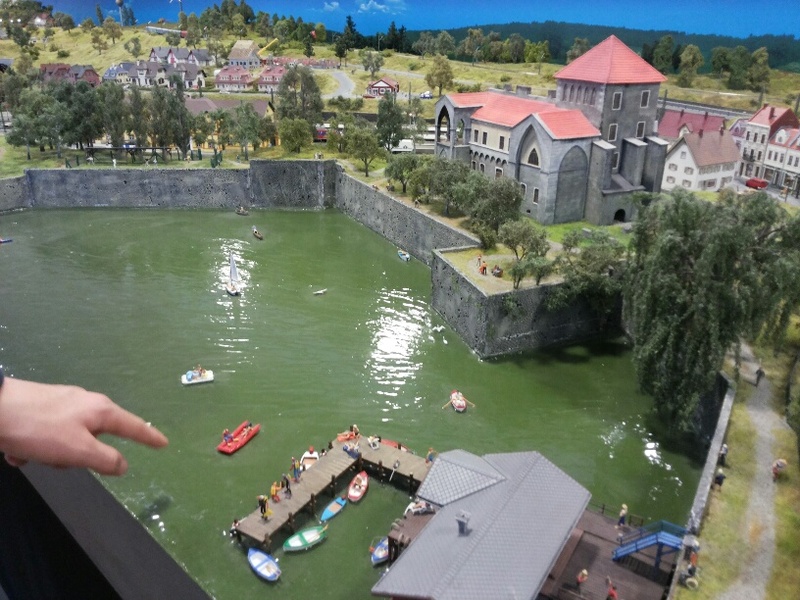 We spent more than an hour touring the miniature towns in Hungary, Austria, and Germany, trying to outdo each other in unravelling the clues. Well worth ever forint. A must see for anyone who hasn’t yet been. And we’re already planning to go back – again. Then we went to watch a fencing class. I have a feeling it’s going to be the next ‘thing to do’ and mom and dad, it’ll be expensive – I’m sorry. But not really. I think I’m going to take it up myself in September. I had a few lessons years and years and years ago, long before the gear came with electric extensions and the lights lit up – but I’m seriously considering reconnecting. Then it was dinner with some younger men – his own age – homemade pasta with a secret family recipe (conquering the world, one cuisine at a time) and home to marinade the cajun chicken he’s cooking for dinner tomorrow night. Those are the perks. Did I say I was knackered? I’ve never been responsible for another living being for any length of time, apart from a week of dogsitting many years ago in Alaska. And both those dogs were too old to get up to much, too slow to get lost, and too spoiled to wander far from home. It was a doddle. My nephew arrived this morning – all 13 years of him – unaccompanied – on a plane. Despite my fears and trepidations he made it through passport control and baggage claim without incident. He’s taller. And looks different. I had to double check that it was him. Perhaps it’s just me seeing him out of context. The ride in from the airport via bus and metro was a history lesson – for me, from him – on Hungary, Korea, and the benefits of learning Chinese. The next ten days or so will be interesting, no doubt spent tracking down WWII sights and delving deeper into the history of this part of the world. No worries. I’m always up for an education. To get myself prepared, I’ve been asking people with kids here in Budapest what a 13-year-old would be interested in. My ideas of the circus and the zoo were rebutted with ‘girls’. 13-year-old boys are interested in girls. That’s too much for me to deal with. So I’ll try the zoo – for starters. And the cat café. And Memento Park. And hope that the porkolt is to his liking and that he doesn’t suddenly get a manic craving for Irish sausages. I can’t remember ever going to visit an aunt when I was 13 – at least never to visit an aunt who didn’t have children. There were always cousins around to get me into trouble. So I am coming to this with sod all experience. And admittedly, the thoughts of being ‘on’ 24/7 are a little daunting. But his mother assures me that he’s just like me. I’m taking that to mean that he’ll be happy curled up on the couch with a book, go too bed early, sleep late, and won’t know the meaning of being bored.